AGES 6 - 17 / / Bring your curiosity, imagination, and thirst for adventure, and we will supply the rest! If you have ever been curious about role-playing games, join us to experience this unique form of game-playing — we'll build a shared narrative using cooperative problem solving, exploration, imagination, and rich social interaction. 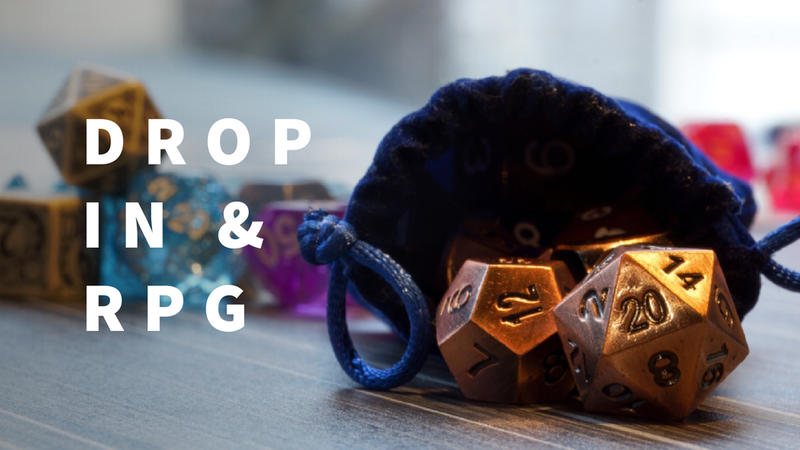 Join us for Drop in & RPG on the 1st and 3rd Friday of February and March, and the 2nd and 4th Friday of every month after!